In treating the disorders of the musculoskeletal system SCENAR produces the most effective and quick results. If combined with manual therapy, the action should be very careful, non-aggressive and mutually complementary. 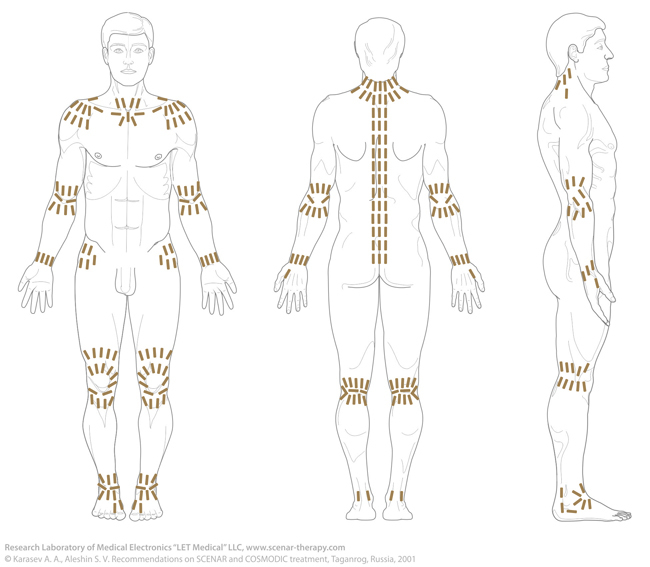 Edemas Area of maximum complaint → the corresponding segment → symmetric area → basic areas The action should be aimed at dispersing the edemas through lymph drainage passageways from periphery regions to the center. q. s.